Laura Said: This is absolutely beautiful! I love the rainbow colors with the texture created by the blending of the colors! A really stunning WOW factor card! LOVE it! 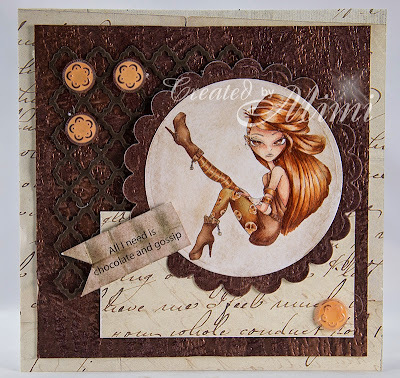 Denice Said: I am simply ga-ga over her stunning card, I haven't seen anything like this awesome technique before. WOW!! Blankina Said: Wish I could make such a beautiful "rainbow" using inks, absolutely fab card!! Love it. Holly Said: This is so beautiful, I NEED to learn how to make this, I have so many ideas for this background now, lol. Love it. Rebecca Said: Wow this is such a beautiful creation! There is so much texture and so many gorgeous details on this wonderful piece of art! Love it! 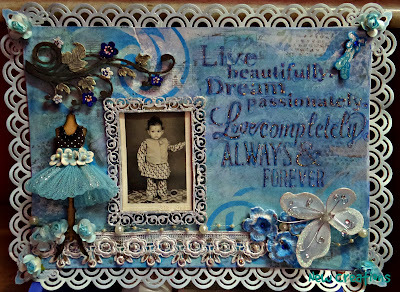 Shanna Said: I love these colors and the tutorial she gives for how she created her background so I can try it too! Holly Said: I love your version of the Bokeh too, great colors and design. I'm going to have to try your circle technique next. Dangina Said: Heather created and awesome background! The beautiful blues and adorable image made me smile... I Love it! Holly Said: Fabulous background, love the colors and the awesome design. Cute image! Marcy Said: Love her created background!!! The embossing with the teal and blue colors give such a rich and beautiful look! Holly Said: I love Mimi's journey to her Chocolate Brown background color, this came out so cute and the texture is amazing. 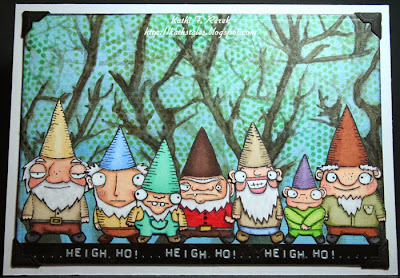 Holly Said: Oh these Knomes are so adorable and the background is so fabulous. Heigh Ho, I love it! Fun cards with great backgrounds - really fascinating to see the variety!!! 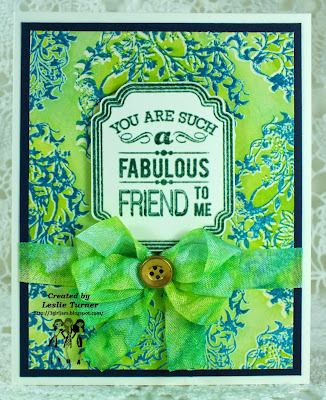 Thank you so very much (Marcy) for choosing my Fabulous Friend card as a DT Favorite! I'm absolutely thrilled! Congrats to the winner and all the other DT Favs! And thanks for another fun challenge! Thanks for choosing my LO as a DT Favorite! Congrats to winner and others too!